As if we were waiting in the passenger boarding area for news of a delayed flight, the Port Authority of New York and New Jersey is providing just the merest trickle of information about the airport hotel it has long promised to bring to John F. Kennedy International Airport. It is astonishing to me that the 19th busiest airport in the world does not have even one hotel on premises. Not the new one promised, not the replacement for the old Ramada at JFK that closed in 2009. Compare this to Paris, where I am sitting this very minute at the very lovely, very close to the airplanes, Hilton Charles de Gaulle, one of 4 - count 'em four hotels on the property of the airport. Frankfurt has two hotels the Sheraton Frankfurt Airport Hotel and Conference Center with 1,008 rooms and the Hilton Frankfurt Airport. Or London's Heathrow with a Hilton in Terminal 4 a Hilton in Terminal 5 and a Sofitel also connected to Terminal 5. 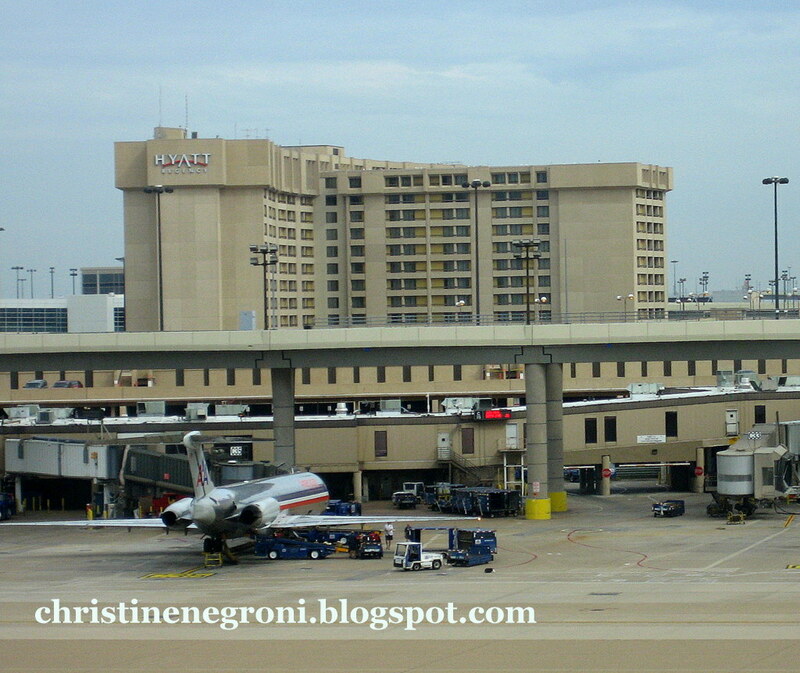 Don't let me leave out Dallas International with two hotels, the Grand Hyatt at the entrance to Terminal D and the Hyatt Regency. Granted, Heathrow is the 3rd busiest airport in the world with nearly 28 million passengers passing through each year. Frankfurt, the hub of Lufthansa and an international financial center is also ahead of JFK with 21 million. Dallas with 24 million ranks eighth. But this is about more than passenger volume. 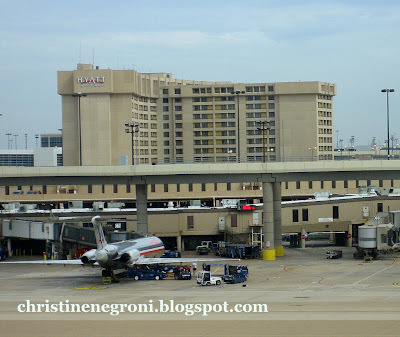 Orlando International Airport made the Hyatt Regency the centerpiece of its main terminal and last month, while visiting Canada's upstart family airline, WestJet in Calgary, I stayed in the Delta Calgary Airport Hotel, with 296 rooms and a pool in the lobby. Calgary Airport handles six million fewer passengers than JFK, but there it is, putting the finishing touches on the outside of the second hotel that will be located at the airport. What is it that Calgary, Orlando, Istanbul, Tokyo, Milan, Singapore and dozens of other airports know that the aviation authorities in New York do not? That hotels and air travelers go together like white on rice. Not only that, there's significant money to be made if Orlando is representative. Hotel revenue contributes a large share to the MCO airport budget and that in turn leads to lower airport fees. Nevertheless, at JFK, the sadly out-of-date, Ramada Hotel has been closed since 2009. An unidentified Port Authority spokeswoman told Crains New York Business, "A marquee airport needs marquee facilities to provide travelers with a first rate airport hotel" but the PANYNJ has been unable to get the Ramada building re opened even after approving hiring a hotel expert at $250,000 a year to make it happen. This rant on the Port Authority's impotence when it comes to accomplishing what other airports haven't found all that difficult follows the leaking of tidbits of information about PANYNJ's negotiations with New York hotelier Andre Balazs. The two seem to disagree over how much of the original Saarinen design will be/can be preserved when the TWA building is turned into a hotel, aviation museum and meeting venue. Outside of comments it made in response to the Page Six story, the authority remains mum. Each time I pass through JFK, I eye the former TWA hall trying to imagine how it could be turned into a hotel. I'm no architect and even I can see it is a hefty challenge. The Ramada on the other hand already exists. So before anybody else at the airport authority calls JFK "marquee" they ought to check the dictionary because that means "superlative." When it comes to providing accommodations for air travelers, the only thing is notable about JFK is how unfavorably it compares to so many other airports.